Basiclly he was hauling muck/dung in dump trailers between 2 farms quite a few miles away, because he had the contract to spread the muck at a later date he was allowed to run red, if the farmer was spreading it it was classed as haulage so white. It's a strange one this, it's similar to the chap who got caught mowing the local recreation ground and then travelling back to the farm. 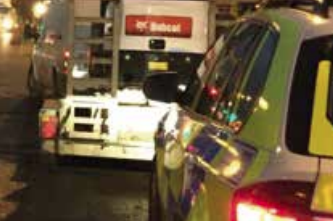 If he had used DERV he may not have been fined but he could also have been done for using a tractor registered and having free road tax outside its use class.. So by putting DERV in it may be an admission that you are not using the tractor within it's licence class. Following on from that as you are not using it within agriculture use class then you have the various C&U regulations which you are no longer complying with. In the case of the farmer mowing the recreation ground, had he been returning along the road to his farm from a verge cutting job (excepted work), pulled into the recreation ground (off road though subject to road traffic act). proceeded to mow recreation ground with red diesel (excepted use). Then carried on verge mowing would he have been prosecuted? The main point is to always have a correct reason for where you are going if stopped and asked. 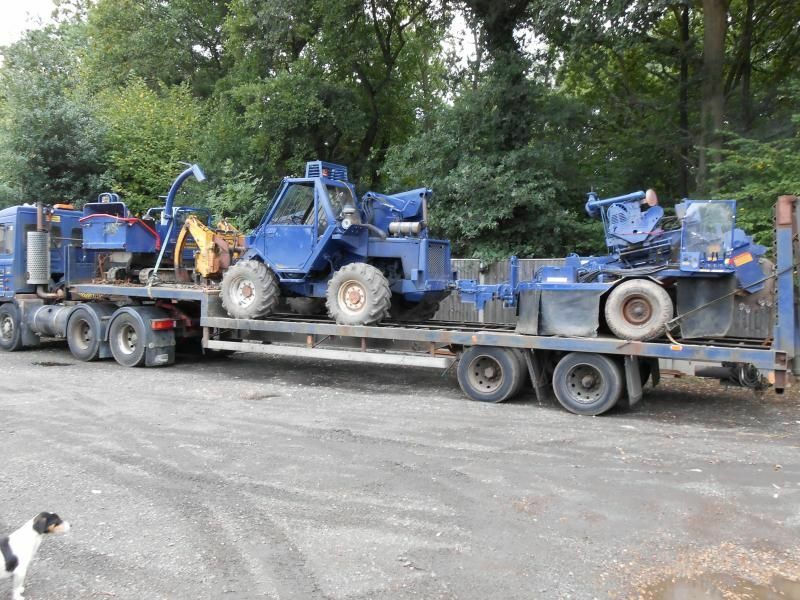 In practice our tractor loloader combination never got stopped, despite being driven by a dopey hooligan and even used for household removals, I advised it was not lawful but the boss found it convenient and saved a fortune. For on site moving or loading timber about I dont think you can beat a telehandler, keep away from exfarm machines because most of them have had the transmission ripped out of them pushing into stacks. 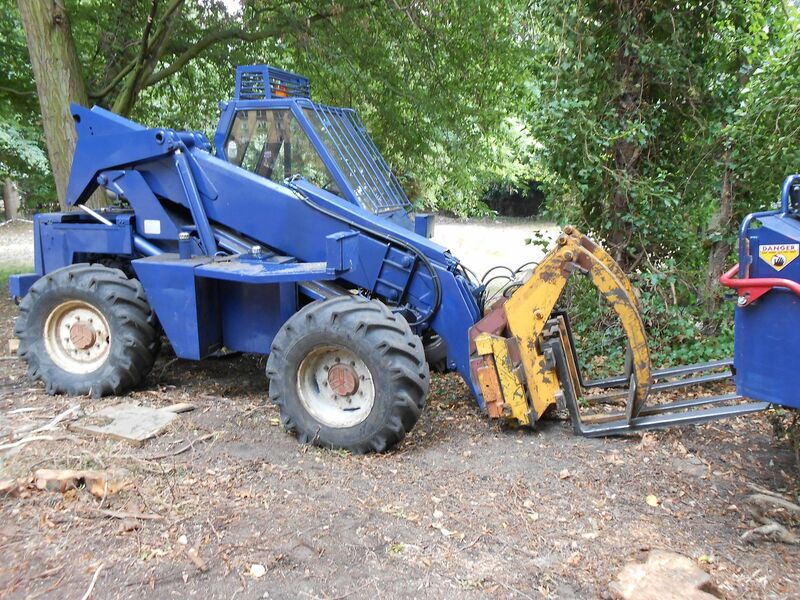 Ex site machines are normally only used as a forklift, the set up below can scoop brash,pick up whole trees,load timber trailers and still be used as a forklift. They tick a lot of boxes and our guys insist on taking one on clearance work. That is a useful looking machine. Is it a full size telehandler? Just being nosey how do you get it to the worksite, surely it is way too heavy to tow on a trailer? 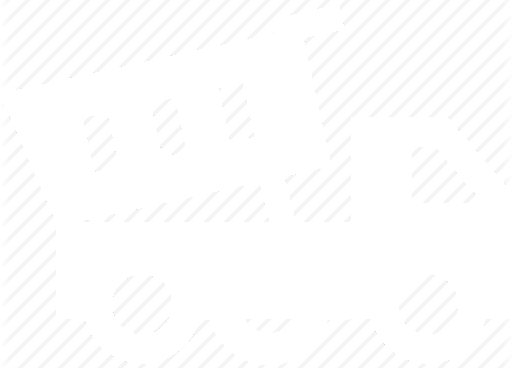 Ah thanks, now I see how you can move it to site. As a lowly sawyer rather than an exulted tree surgeon I couldn’t afford kit like that. 🥴. If you were in my area I would ask if you wanted to use your nice kit to flog me logs for milling but as you are about four hours from me that may not work! 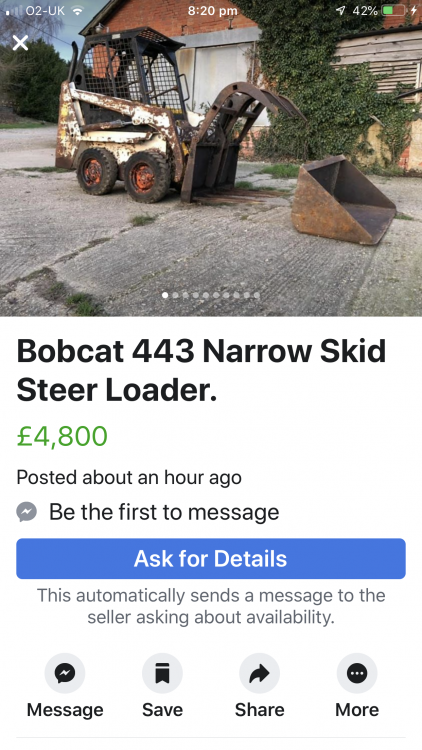 I have considered skid steer also. I believe they are good but they do make a mess of the ground if it is soft. Great for small woodlands but tear up lawns badly. 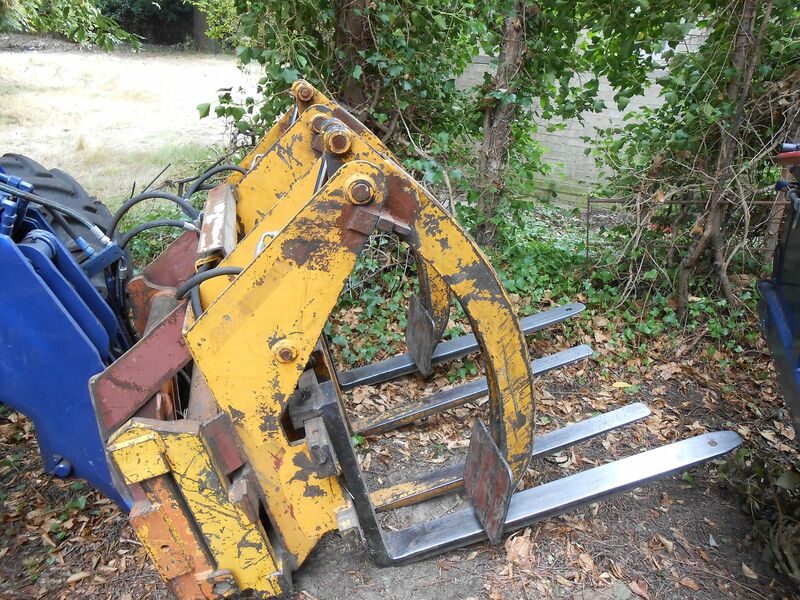 Tracked bobcats are good for woodland work but our old one (talking 15 years ago admittedly) used to destroy bearings constantly being used on concrete yards. I still miss it though for turning on the spot when loading.